The Trane sponsored Basingstoke Bison are pleased to announce the signing of young British defenceman Josh Kelly. 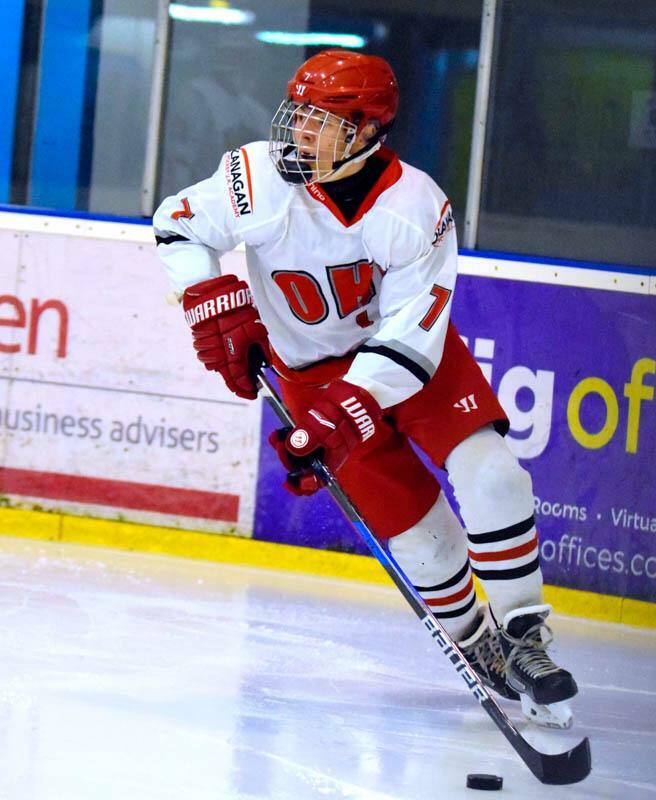 18 year old Josh who was born and bred in Basingstoke played his Junior hockey in Guildford and latterly for the Okanagan Hockey Academy based in Swindon. Whilst at Okanagan he iced for the U18 squad, 2 games for the NIHL Wildcats and 11 games for Wildcat 2 teams. Josh stands 5�11�, weighs 161lbs and shoots left. This season Josh moved to Sweden to ice for IFK Osteraker J20 team where he played 5 games before return to the UK, where coach Tait was quick to snap up the talented youngster who�d been training with the Bison during the summer. Coach Tait said, �Its great we've managed to get Josh at the 2nd time of asking. He obviously chose to go to Sweden initially but for one reason or another he came back. Once I was alerted to his availability I had no questions in bringing him in and adding him to the line up. He is going to take some time to find his feet but I think he adds to a group that are growing in stature week by week�. Josh had this to say about signing for the Herd, �After my time in Sweden and then being in contact with Ash about possibly playing for the bison. It�s something I couldn�t turn down knowing I could play for my hometown team and in front of such a great fan base! With Ash and Tosh as the coaching staff I knew I would be in the best possible hands to continue to develop! Since arriving back home the team have been really welcoming and I look forward to playing alongside them for the rest of the season�. Josh will go straight into the Herd line up for tonight�s game after confirmation that he is registered and received international clearance to join the squad. 1. Direct family member of the player (email confirmation from the player will be required as evidence). 2. Random draw made by the organisation from all applications received.